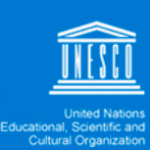 UNESCO – Produced a Video Presentation on SE Asian Children who do not have access to schooling. PTT – Produced a series of Short Video’s to educate Thai TV audiences on International Energy Topics. EGAT – Produced a series of documentaries to educate Thai TV audiences on International Electricity Generation Topics.